What is a NNN Lease? A NNN Lease, or net-net-net lease, is an agreement with the tenant to take full responsibility for all fees that are related to the asset being leased on top of the rent itself. The basis of the lease requires the lessee to pay all three types of costs. These costs include net real estate taxes, building insurance, and standard maintenance. A NNN Lease can also be referred to as a triple net lease. Because the lessee is covering all costs which would otherwise be the property owner’s responsibility, the rent charge of the building is usually lower than a standard lease. The credit standing of the tenant is used to calculate the lease amount using a capitalization rate. Properties that are a NNN Lease are a very popular investment for those seeking steady income with low risk. NNN Leases are typically grouped with 3 or more high-grade commercial properties that are leased by a single tenant with current cash flow. 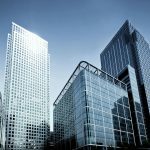 Office buildings, industrial parks, malls, and restaurants operated by banks are a few examples of high-grade commercial properties. 10 to 15 years are the typical terms, with rent escalations built-into the contract. Long-term steady income, with capital appreciation of the property as a possibility, is the main benefit to investors. Without concern, investors can invest in high-quality real estate without management operations, including tenant improvement costs or leasing fees. When the properties are sold, an investor can roll the capital into a new triple net lease without having to pay taxes through 1 tax-deferred 1031 exchange. Investors in Triple Net Lease investments are required to have at least a $1 million net worth, excluding the value of their primary place of residence, or $200K income ($300k if filing jointly). Investors must also be accredited to invest in a NNN Lease. Smaller investors can invest in a NNN Lease by investing in real estate investment trusts (REITs) that are focused on these types of properties. Learn more about an NNN Lease here. Receive invitations to exclusive events and seminars, occasional market news, updates, and opportunities from the Platinum 1031 Exchange Real Estate team. Platinum 1031 operates in all 50 states, with offices in Orange County, Los Angeles County, and Riverside County. Complete our online Portfolio Review form and one of our professionals will review your scenario and contact you with available options. Call, email or send us a message using our online form today for your complimentary evaluation. Our team will be in touch as soon as possible. We look forward to hearing from you! A division of HW Real Estate, CAL BRE #00954296. Copyright © 2018 Platinum 1031. All Rights Reserved.